Why Choose a Managed Service Provider Over a One-Man Organization for IT Support? IT support is one of those things that you don’t appreciate until something goes badly wrong. There are two options for IT support. You have Dave the computer guy. This is the one-man firm that supports you. You normally have to conform to their schedule to get support. Managed IT services, on the other hand, involve multiple professionals running the operation. These tend to be available 24/7. So why should you choose a managed service provider instead? A one-man organization relies entirely on a single person. If the person running it isn’t particularly customer friendly, or they’ve simply had a bad day, you won’t get the service you deserve. This isn’t the same as an organization run by multiple people at the same time. You’re far more likely to always get someone who treats you in the right way. A one-man organization can only remain open for so long. They have to sleep sooner or later. This always puts them at a severe disadvantage when comparing them with managed providers. Managed service providers can set their staff to work through the day and through the night. For a business, this is crucial because it gives them access to support 24 hours every day. Another important point to remember is you’re going to get a far quicker resolution to your problem. They can also work on the problem around the clock. Remember, it’s not just about initial response times. It’s about how quickly they can solve the issue you’re contacting them about. A large company specializing in IT support can evolve and change all the time. They can send their staff members away on courses without having to shut everything down and disappoint their customers. One-man organizations can’t learn and provide their services at the same time. There are simply not enough hours in the day. The technology industry constantly changes, and you need your service provider to keep up with you. Let’s look at the evolution of cloud computing as an example. Today, over half of all businesses in North America use cloud computing in some form. Go back two or three years and you have less than a quarter of businesses actively using cloud computing. It requires a quick evolution to keep up with what’s going on in the world of technology and business. Managed IT support is setup in such a way as to make it easy to keep up with what’s going on. Overall, it’s clear that one-man IT support is completely inferior. It hamstrings your business and makes it much harder to acquire a speedy resolution to your IT problem. 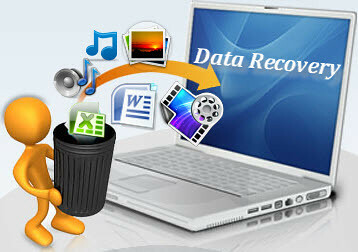 The Backup & Disaster Recovery Solution (BDR) is something every business should have. You never know when the worst could happen and your data could crash into the void. If you have a hardware-based BDR solution in place, you’ll be able to return to a point in the past before your data disappeared. Now the unrecoverable is recoverable. BDR solutions come in two forms; online and hardware-based. We’re going to discuss some of the reasons why you should search for something hardware-based, as well as why a good BDR solution can save money. Online BDR solutions are still vulnerable. A hacker can attack the BDR solution itself and take it offline. If this happens, you’ll have no way of retrieving your files. Hardware-based solutions don’t have the same problems. In many cases, your files can be transferred to a piece of hardware not connected to the Internet. If you’re operating with an online BDR, you’re sharing the server with everyone else. In the event of a major problem that affects multiple users, expect to have to deal with slow retrievals. Hardware-based solutions will retrieve your data in a matter of hours, as opposed to a matter of days. And this is essential. A business that goes offline for a few days is liable to file for bankruptcy. 50% of businesses will file for bankruptcy immediately, according to the National Archives & Records Administration in Washington. The cheaper BDR solution will not be as effective as a more expensive BDR solution. This doesn’t mean a company should opt for the most expensive solution available. It means price shouldn’t become the main consideration. Opt for quality over everything else. Quality means you’ll have your data back and your site online as soon as possible. In terms of business, this can save you thousands. Customers who can’t find your website immediately will turn away forever. Your regular customers might also become disillusioned if your website disappears for a few days. They might think you’ve closed your doors. And if you have employees, they won’t be able to do their jobs, but you’ll still have to give them a salary. So, you have no money coming in, you still have to pay for the upkeep of your company, and this could last for days. These reasons alone are why it’s worth spending more on a hardware-based solution. Always start by paying more for a better hardware-based solution now. With an investment like this, you have to look at the potential long-term circumstances. For the vast majority of companies, they’ll get value for money over the length of a few months and years.